To add the beautiful look of rose to handmade cosmetics and soaps. 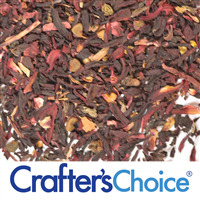 This product has darker red roses and more whole leaves than typical blends. Dried rose buds are an excellent source of vitamin C.
Approximately 22 cups to 1 pound. COMMENTS: I will be using this in my bath salts. COMMENTS: Great value for the quantity and quality. There’s a good blend of petals and leaves in the package. I will definetly purchase again! COMMENTS: THIS WORKS PERFECT IN MY FACE STEAMERS. AMAZING SMELL. THE SIZE IS BIGGER THAN EXPECTED. "lovely addition to bath bombs!" COMMENTS: Nice product. I use them in bath bombs, teas and salts and they provide a nice touch. COMMENTS: Used these in the bath bomb kit that I purchased for a new fun addition to soaping. My daughter and I had fun putting them together. Will definately be making others. • Pretty. Really added to the look. COMMENTS: This was my 1st time buying dried flowers, while I garden and I grow Rose's, I never could get them to dry the right way! I was so amazed at how pretty they where, I didnt want to use Them. There is a generous amount of flower buds and petals In the bag. "So many uses for rose petals"
COMMENTS: I love using rose petals in my products. However, it would be nice to have just the petals and not the buds and stems. Although it works okay for infusing. It is a pain pulling out the buds and stems. COMMENTS: This was a wonderful decoration on top of my rose goat milk soap. I got so many compliments! COMMENTS: Pretty petals but way too many stems. It's almost 1/3 of the package. COMMENTS: The rose buds/leaves are great in lotions but I personally find that it's even more better in bath bombs, bath teas, and decorations for products. "Rose Petals - Red Buds & Leaves"
COMMENTS: Good quality of dried rose petals. I use them to decorate the tops of my soaps. COMMENTS: These rose botanicals are absolutely stunning! The muted pink and green colours really create a romantic feel to my soap! And 2 ounces goes a LONGGGG way! 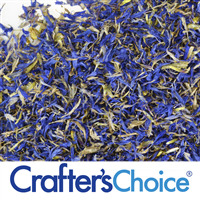 COMMENTS: I love making bath teas and embeds with these petals. COMMENTS: other companies have a chemical smell and these don't. will always order from here. COMMENTS: worked perfectly in my bath salt mixes. COMMENTS: This was the perfect esrthy yet delicate addition to my Bath Teas. COMMENTS: Added the Extra UUMMPPHH to my Bath Salts -- Got Many Compliments on they way they looked in the Jar. COMMENTS: I use these on the top of my cp soap. They are beautiful and work perfect. COMMENTS: I made a rose soap with these as decoration and sold out! These are beautiful! COMMENTS: These are the perfect touch to my rose garden bath fizzies! • Came packaged very well! COMMENTS: I used these to decorate my cold process rose scented soap, but I'm very impressed with the quality. I can see me using these in other applications like potpourri. COMMENTS: Lovely for tops of soap bars. COMMENTS: Oh my goodness, these dried rosebuds, petals & leaves are SOOOO PRETTY!!!! Sandalwood Rose FO has become a big seller for me, so I purchased this to add some beautiful rose embellishments to the top of my Sandalwood Rose CP soap! I really think it's going to take the look of the bar to the next level!! LOVE this & will absolutely be buying more! Phenomenal price for the amount you get too! I love how WSP never compromises on quality, but still offers superior products at a price that doesn't break the bank! Thank you WSP! • Beautiful assortment of petals & buds! • Excellent quantity, quality & price! COMMENTS: holds its color well, and has a soft aroma. Nice and dry, no mold or problems at all. Zip bag, makes storage convenient. Great price. COMMENTS: Lovely quality of dried roses. I would purchase it again. COMMENTS: These look great in mt bath salts. Bigger pieces would be better. But its a nice added touch. You can see the color through the glass jars i use. Its eye catching. COMMENTS: These are great for adding to soaps and bath bombs! COMMENTS: used these rose petals to top my cold process soap. Wonderful. Has nice petals and buds in the package. COMMENTS: People love how the rose petals look in the bath bombs. I have this requested all the time. They hold up well. COMMENTS: I use this in bath salts and soaps. Customers love it. I use rose essential oil with it to give a nice scent. COMMENTS: The rose petals worked perfect in my coconut milk powder bath soak! COMMENTS: Good quality, but you do have to pick out a few loose stems here and there. COMMENTS: I add rose petals to my CP soap and these worked well. COMMENTS: I use these in a rose bath bomb by putting them whole in the center. They look very pretty in the water and add another element of fun to the bath bomb. There are quite a few leaves and stems. Will buy again. COMMENTS: I use this product when packaging my salves. When my customers open their packages, they are greeted with the lovely scent of these beautiful dried roses. COMMENTS: Smells amazingly fresh, when the bag opens. I had ordered some other rose petals from another location, you could see the difference in quality. I will stick with Crafters Choice ! COMMENTS: These rose buds are great! They smell very fresh every time they arrive. Also, compared to other brands, there are far more rode buds versus stems, leaves, etc. • Buds have great color. • Less stems & leaves than other brands. COMMENTS: The bag i bought from WSP had 90% rose petals and 10% buds - very good quality, no dirt, no unwanted leaves, no insects, just fresh dried red petals and buds. You get more for the price you pay. I used the petals to make rose water and an infused oil. So far i have only made a face lotion with this combination (infused oil, rose water, rose hip oil and essential oils). End result was perfect!! I gave few samples to my friends and family to try and they all loved it. I will definitely be purchasing more! COMMENTS: They are okay, I wish there were less stems in my bag and maybe a little better color. • Great price, great value! COMMENTS: These amazing rose petals are a fantastic embellishment on top of my cold process soaps and my bath bombs and fizzies. Will definitely be purchasing these again! "Perfect for my oil infusions. " COMMENTS: I use these to infuse oils that I use in my lotion bars. COMMENTS: The sheer volume of dried rose that I go through is ridiculous, and I am over the moon that WSP has such a fair price. Infuse it in oil, boil it into a tea, grind it into sugar scrubs, sprinkle it on top of soaps, press it into bath bombs.... the options are endless. And it's refreshing to find dried roses that actually SMELL like roses. Very happy to continue ordering truck loads of dried rose from here! "Get dark and brown in my soaps"
"Great for exfoliation in melt and pour soap "
COMMENTS: I use the rose petals in my melt and pour soap. It's great for exfoliation and makes the soap look really nice. COMMENTS: Added a nice decorative touch to my salts, teas, and body scrubs. I prefer the small tight buds for my soaps though. COMMENTS: SMELL SO YUMMY AND THEY LOOK SO PRETTY IN MY BATH BOMBS. COMMENTS: I love these dried roses! they smell so fragrant. The rose essential oil I used almost completely faded from my soap. Thankfully these dried roses I sprinkled over the top keep my bard smelling faintly of roses. You get a ton of large rosebuds in this bag. COMMENTS: I use these in my rose bath bombs and to add a pretty touch to rose scented soap. I will buy again! "Beautiful to work with "
COMMENTS: Good quality and quantity for the price! They smell great and look absolutely stunning in my bath salts and soaps! COMMENTS: These rose buds and petals could not be more gorgeous! There are more full rose buds than I expected (very few petals!) and they disperse BEAUTIFULLY in oil making the best massage oil ever. The price, quality, and smell is spot on. Very fresh and fragrant. "Pretty Flowers, color vibrant and nice size"
COMMENTS: I lke the rose petals, but no buds in my bag. The amount was huge though. COMMENTS: Very happy with mix, I used the buds for decorating my bath truffles. The bath tea I made sold out first show! COMMENTS: Nice product for additives/topping on soap. COMMENTS: These make a really nice decoration to my cp soap and bath bombs. I was surprise how much you get for 2 ounces. I know they are light weight but I was pleasantly surprised at what a big bag I got for such a good price. COMMENTS: GREAT quality! Color is beautiful as pictured, and there is a nice mix of buds and petals. And they smell so so lovely! COMMENTS: They smell SO amazing! I cannot wait to use them in my products!! "These add a very nice touch! " COMMENTS: I use these in my bath salts.. I tried using in MP but was afraid they would turn. They did but just a bit. They really add a nice touch to my bath salts, and go great when I make lavender ones! COMMENTS: When I first opened the bag, I was overwhelmed by the lovely, fragrant scent! Usually when I buy dried rose petals/buds from other places they do not possess such a great aroma! I was pleasantly surprised and will definitely be purchasing them again as well as recommending them to friends! A must buy if one wishes to add a delightfully beautiful decoration for bath bombs or fizzes. They also make a lovely topper for lotion bars! COMMENTS: Bought the large bag of rose petals for my salts and love the way the product looks, will buy again. COMMENTS: Makes great potpourri and the rose adds to the colour. COMMENTS: I use these petals to make my homemade rose water when making shampoos and conditioners. I also use these for making rose water spritzer for the hair. Love the color that it gives my products and the smell is so AWESOME!!! COMMENTS: I was looking for something extra to put in my bath salts and I am so happy I purchased these rose petals! Not only do they smell amazing, but they look absolutely beautiful in the salts. I will definitely be ordering more in the future. COMMENTS: Lovely botanical to use in soap as well as for decoration. This is a nice mix of petals and buds with a light rose fragrance. I used the crushed petals in my soap and the buds pressed into the top and it came out beautiful! "I love mixing these in my bath bombs!" COMMENTS: I love doing rose bath bombs with these. They are great. The only thing is that they have many buds, I would change that, but other than that it is amazing! COMMENTS: These rose buds are of really high quality. I have purchased from other places before, but by far these are the best. I used them as a garnish in the packaging for wedding favor soaps I made. Lovely scent and color. "Wow, Sure get alot for 2oz"
COMMENTS: Wow, I didn't expect to get so much for that price. I am so happy, I am buying more. COMMENTS: These dried rose buds and leaves are perfect for infusing into my oils. You get a lot for the price which is a major plus too! COMMENTS: I used it to decorate the top of my melt and pour soap loaves and my customers absolutely love the way it looked! Has a light sent of rose also. Very nice. "Very Pretty on top of soap"
COMMENTS: I used the petals on top of pink M&P with Love Spell scent and yellow M&P with Lemon Verbena scent. I made oval bars and packaged them separately. It looked very pretty. I made one loaf mold and used the petals on top as well. All looked very pretty and people really liked them. COMMENTS: Lots of buds and a great fragrance. COMMENTS: These roses look very lovely in my bath salts! They will look great on soaps, too. Good amount in one bag. "LARGE bag of buds and petals !" COMMENTS: Each bag contains an amazing amount of dried buds and petals in a gorgeous pink/burgandy shade. I use them when I package up my buttermilk/Rose Kaolin Clay/ Himalayan Pink Sea Salt soap bars. I put a small layer of dried petals in the bottom of a clear (WSP) bag, add the bar of soap (wrapped in clear plastic) , a whole rosebud on top of the soap bar, then another small layer of rose petals- tie with pink silk ribbon and add a handmade tag- spectacular ! I've used 2 1/2 bags of these rose petals and will soon order more. COMMENTS: Petals have a vibrant, lively color. It is not fragrant but it has a nice appeal to the eyes. Good price. Will buy it again! COMMENTS: Lovely product. Looks beautiful as a topping for my M&P soap. Will definitely buy again. COMMENTS: I use these roses for foot soaks, lotion bar and melt & Pour accents. They add a very lush accent to my products and give it that extra eye appeal. The price is right and from buds to the little bits and twigs and the bottom, I use it all. The bag seems light but there is PLENTY in there. I have already ordered three bags and expect to order more in the future. • The mix of buds and "bits"
COMMENTS: Its nice because it has a mix of different color roses in it and it looks beautiful on a white background. COMMENTS: These flowers have a nice rose scent. COMMENTS: One pound is a big bag! The flowers look and smell great. COMMENTS: Perfect for soaps, bath blends and bath teas. COMMENTS: They make the bath bomb look really good. COMMENTS: Great rose buds and petals. I do wish WSP offered straight rose petals, as separating the petals from the buds is really time-consuming. COMMENTS: Was pleasantly surprised at how big of a bag I received (the 2 oz size)..I used the petals to make rose water and an infused oil. I could tell these were very high quality, because my rose water has the perfect color and aroma. Beautiful! Will definately be re-purchasing ! COMMENTS: These little rose buds & leaves are such a great product to have on hand. You can use them in so many different products to pretty them up. Plus, you get a lot and the price is great! COMMENTS: I use this for a floral hydrosol. Smells amazing! COMMENTS: You get a good mix of buds and leaves. I plan on using the buds for soap toppings and the leaves for other things. COMMENTS: These rose petals make great additions to the bath fizzies. They have their natural scent which smells great all on its own. "Perfect for Bath Tea Gifts"
COMMENTS: I am new to the world of body and bath products and decided to begin my journey with bath salts and bath teas to give as Christmas gifts this year. I ordered these rose buds because of reviews left by other WSP customers and I am so VERY glad I did - they are perfectly lovely in both appearance and aroma, very colorful and fragrant. I am on a very small budget as well and the price was incredible. I ordered the 2oz bag, but got far more than I expected and know I am going to find lots of ways to use these now and in the future. Thank you to all the reviewers who helped steer this newbie in the right direction and to WSP for providing quality products at an affordable price. COMMENTS: I loved these in the bottom of my bath bomb molds. So pretty and girly. Love Love Love! "Great Quality and Smells Lovely!" COMMENTS: Beautiful whole buds and a lovely rose scent. Perfect for topping my cold process soaps and adding as a powder to my mask! COMMENTS: These flowers and buds smell amazing! look beautiful! I want to put it in everything! COMMENTS: Use in my bath tea blend. Good quality and nice smell. "Mix of Buds and Leaves and stems"
COMMENTS: I bought this without thinking (my mistake) . . . I intended to get rose petals, but as the title indicates, there were leaves mixed in. There were a lot of stems also. I went ahead and picked out the petals and there were enough to use with my soap. I pulvarized a few of the petals to mix into the soap, then sprinkled some whole petals on top. With this mix, you do get some buds, so I topped each bar of soap with a rosebud in the middle. It turned out great. It is still beautiful, but next time I will buy only petals (or buds) and I won't steep them before adding the lye. COMMENTS: Package neat in a pouch. Nice. COMMENTS: I used these on top of my rose soap. I wasn't thrilled that the colors bled down into the bar but it gave it a natural look. COMMENTS: I make a Detergent Free Clear base using a rose F.O. and I'll crush the flowers and add. Makes a beautiful loaf. COMMENTS: I was surprised at how strong the scent from these was. The rose scent is amazing and they decorate my soap and bath bombs beautifully! COMMENTS: I was surprised at the strong wonderful scent from these. Also the quality of this mix was great...not a lot of stems. So far, I've made some soap with these and bath fizzies. All have turned out great. I can't wait to try out some more products with these. I can tell that these will last and it seems a little bit goes a long way. Great WSP quality as usual. COMMENTS: WOW - you really get a lot for your money! The bag I received was full of whole buds! The color and fragrance was very strong too! Excellent product! 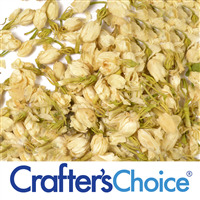 COMMENTS: Lovely quality and beautiful rose buds to adorn your products or be incorporated into them. I use them for decorating the tops of my soaps, etc., and in my herbal blends & infusions. COMMENTS: These buds are gorgeous, and a little goes a long way! I was disappointed in the size of the package (2 oz) when I received it, but believe me, it's plenty! I have made one loaf and two guest loafs and have only used about 1/4 of the package. "Lovely Rose Buds & Petals"
COMMENTS: Beautiful aroma and attractive buds. I don't care much for rose fragrance oils, but the natural botanical is nice to my nose. No category for bath teas, sachets or potpourri, but that so far has been my primary uses. Very dense. 2 ounce equals about 2 cups so you get a lot. I tried in M&P soap, oh no. The petals and buds turn black. Experimenting is fun so I used the test bar on myself. COMMENTS: This was quite a surprise. It is so much prettier than it looks online. The buds are small enough to use on the top of soaps and there is a lovely rose fragrance. The smallest size avaiable is still large enough to use on many soap batches. Will definitely order again! COMMENTS: I used these both in M & P and in a roses lip balm. Slightly fragrant. "Mix of Buds and Petals"
COMMENTS: These are fragrant small buds and rose petals. I like that they buds and petals are small as that makes them much easier to use in things like bath fizzes and soap. COMMENTS: I've only put these in with bath salt so far. it makes a beautiful product with the white stand up bags. COMMENTS: Used in the trio massage oil recipe from wsp. 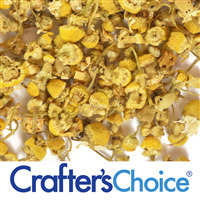 These dried flowers are great and a really good value. I was surprised at how much I received. I will find many uses for theses. COMMENTS: I add a drop of Victorian Rose FO to 2 Tbsp of these rose petals, and package in small organza bags. Costs next to nothing and makes a nice addition to a gift basket. COMMENTS: I add this to bath bombs, and the color is nice and vibrant. Great quality. COMMENTS: The quality of the roses is excellent. It is mostly whole rose buds not a bunch of crumbled pieces. Will definitely continue to purchase these from WSP. The 1 pound bag goes a very long way! I made over 1100 bath bombs and only used half the bag! COMMENTS: I have used the rose petals in mp soap and bath salts and I like the look and the natural fragrance of the roses. The quality and size of the bag are both excellent. COMMENTS: I use in my soaps and bath soaks. I sometimes just put a small handfull in bathtub. Not many stems and a good amount of buds. COMMENTS: Rose petals are such a pretty addition to bath bombs. Love these! COMMENTS: I used this to cover the top of one of my melt and pour soaps and it is beautiful. I have also used in satchels. Would def. purchase again :) Lovely smell as well! COMMENTS: These rose buds have a lovely scent and color. I have used them in bath teas, ground up in bath bombs, and will be using in cp soap. There are a good amount of whole buds mixed in with pieces so I just picked out the nice ones to use as embellishments in soap and use the less pretty pieces in bath teas. COMMENTS: I love rose petals. I use them on top of my CP soaps and in my massage oils to add depth. COMMENTS: I do like these Rose petals and buds...find them to be just the right size when making Bath Teas. COMMENTS: Used these petals for a bath tea--crushed them up. Very nice rose smell. "Look great on bath fizzies"
COMMENTS: We use these to decorate our bath fizzies. It looks very nice when pressed in. COMMENTS: These dried roses are gorgeous. I am using them in bath bombs and bath tea, and I am so excited about them. They look and smell wonderful!! !